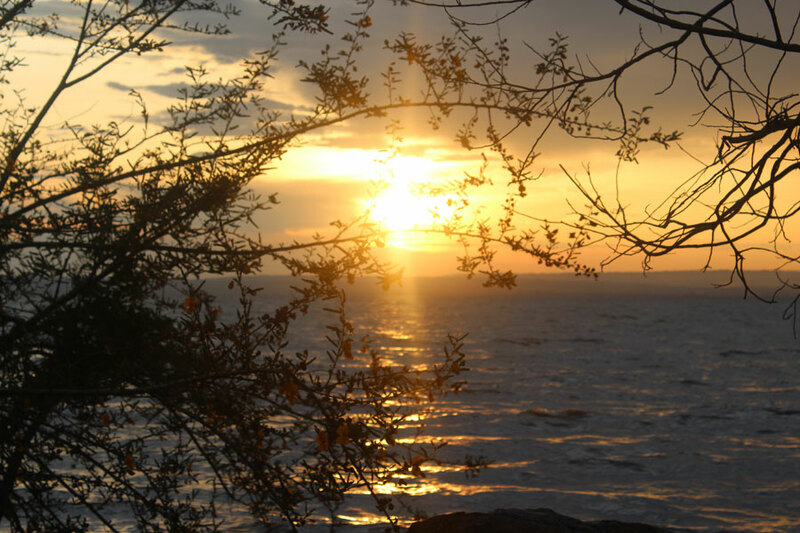 The sun sets over Lake Victoria in Kenya. I settled down in my seat on the bus and buckled my seatbelt, ready for the eight-hour drive to Kisumu City, home to one of our CFCA projects in Kenya. As the bus made its way through the sometimes rough roads dotted with potholes, I thought about the one-and-a-half weeks I would spend interacting with CFCA families. It is the favorite part of my job, talking with and getting stories from the families we serve. plantations and cows grazing in green fields. I got to Kisumu slightly after dusk. My Kisumu colleagues welcomed me to their city, which is hot and humid, different from the cool weather in my city, Nairobi. Kisumu is home to one of the largest lakes in Africa, Lake Victoria, and hosts one of the largest tribes in Kenya, the Luo community. I am from the Kikuyu community, which is a rival tribe to the Luo; but in this land, miles away from my home, I felt safe. The warm smiles and the welcome I received from the families made me forget that we were from different communities. Many families in the Kisumu project are in the care of guardians, and some are child-headed families. In the mid-1990s, the HIV/AIDS pandemic swept through the city, one of the worst hit in Kenya, killing thousands of people and leaving many children orphaned and in the care of their grandparents. As I made my various visits in the rural homes, I met many different people, some of whom left a big impression in my heart. I walked into the home of Theresa, a 78-year-old woman sponsored through CFCA. Theresa takes care of her grandchildren, left in her custody after her children passed on. Theresa supports her grandchildren growing fruit on her small farm. She embraced me warmly and talked to me in Luo. Though I could not understand her, I could tell she was happy to welcome me into her home. Theresa said a few words of prayer and we started talking, the CFCA social workers accompanying me helping with the translation. As I talked to Theresa, I could hear sadness but also hope in her voice as she talked about the responsibility she has taking care of her grandchildren. 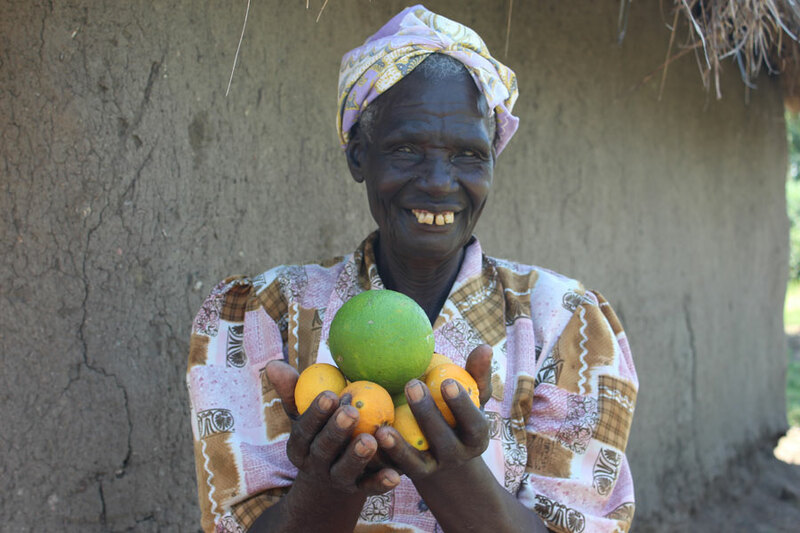 Theresa took out a loan from the local CFCA mothers group and started a successful farming project, which has improved the economic situation of her family. “I am an old woman, but I have to toil hard on my farm so that I can provide for my grandchildren,” she said. “Even though my strength is slowly failing me, I still have my hands and I keep doing the best I can. “God blesses my work, and I have been able to take care of my grandchildren,” she said. In the African tradition, a visitor is considered a blessing. And as I rose to leave, Theresa handed me a basket full of oranges and guavas, fresh from her farm. I was overwhelmed by her gesture, and my eyes were teary as I thanked her. It was not only a basket full of fruit but one full of love, too. It is people like Theresa and 24-year-old Austine who make my work so meaningful. Another inspiring person I met was 24-year-old Austine, an orphan sponsored through CFCA for 12 years. Austine wants to be a medical researcher. He was able to pursue his education with the help of sponsorship and a CFCA scholarship. 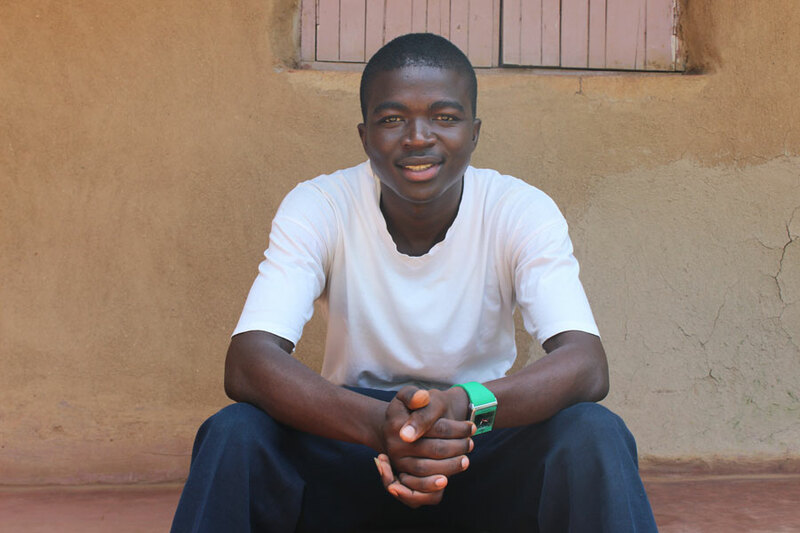 Sponsored youth Austine is confident he will achieve his dream. “I am a pacesetter in my community, having been one of the few who have gone to the university in my village,” Austine said. As I visited with the families in CFCA-Kisumu, one thing resounded: The people who walk and live in hope have the greatest wealth. Theresa and Austine give me hope and a reason to look forward to another day working in CFCA. Regina – Thank you for the beautiful story about your country. It is indeed inspiring to meet the people of Kenya and receive the gift of love they have. I miss Kenya many days and I am grateful to God for the blessing he has given me to travel there and meet Regina and the wonderful CFCA staff and families. I hope someday he will bless me with a return visit. Praying for you and your country!